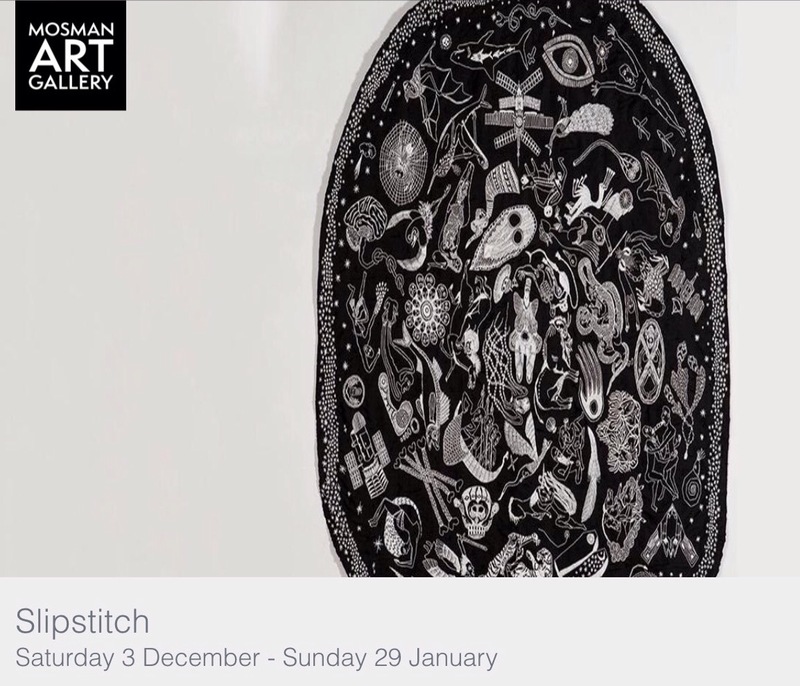 Slipstitch at Mosman Art Gallery | Eastwood Patchwork Quilters Inc.
Well worth the trip to Mosman is an exhibition that is finishing this Sunday, January 29th. 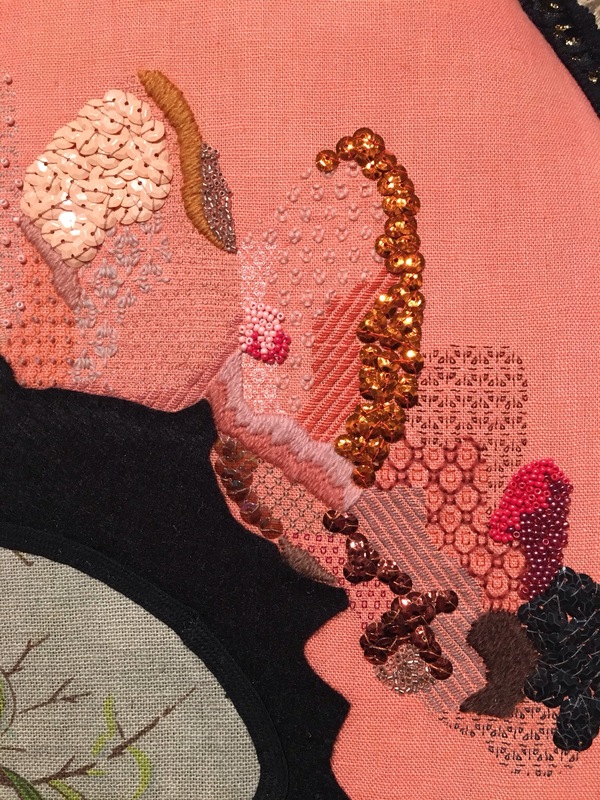 Slipstitch is an exhibition of contemporary embroidery from a diverse group of artists and on a wide range of subjects. 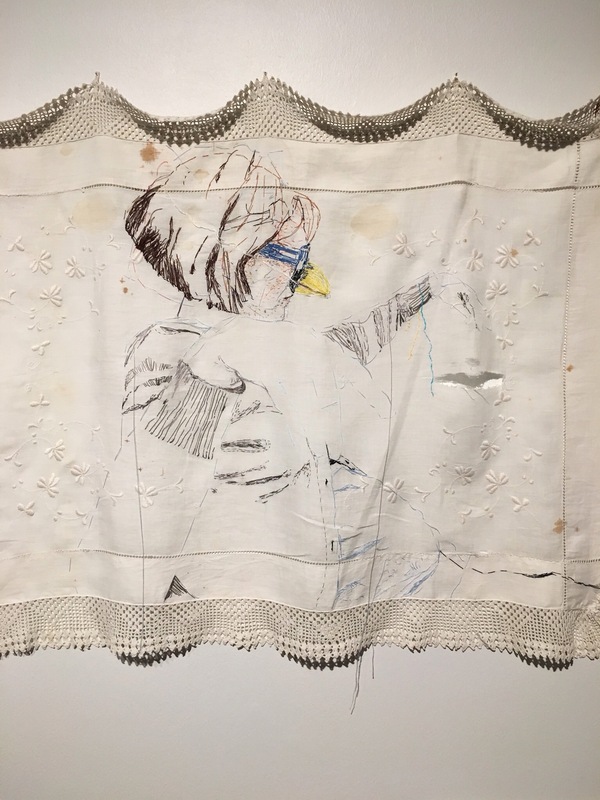 The idea behind the exhibition is that embroidery can be used to convey messages in modern times just as it did in the past. I really appreciated that a number of the works featured reused textiles and materials. It was also great to see embroidery as a focus of a whole exhibition. 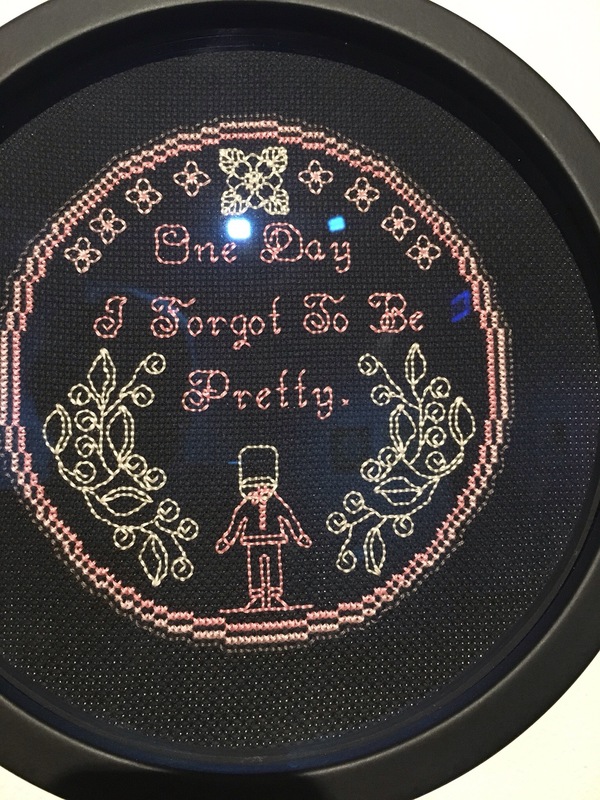 Here are a couple of my favourites – I love how the stitcher used traditional methods and materials to convey a modern message. This entry was posted in Uncategorized by eastwoodpatchworkquilters. Bookmark the permalink.